It seemed pretty clear back in October that the not-SRT Dodge Viper updated in 2015 would be discontinued in 2017 as revealed in the new FCA union contract. Dead. Gone. Kaput. Wiped. Depressing. Depreciating. But now, like any good spin master, FCA CEO Sergio Marchionne says the status of the Viper isn’t definite, yet. That’s right! 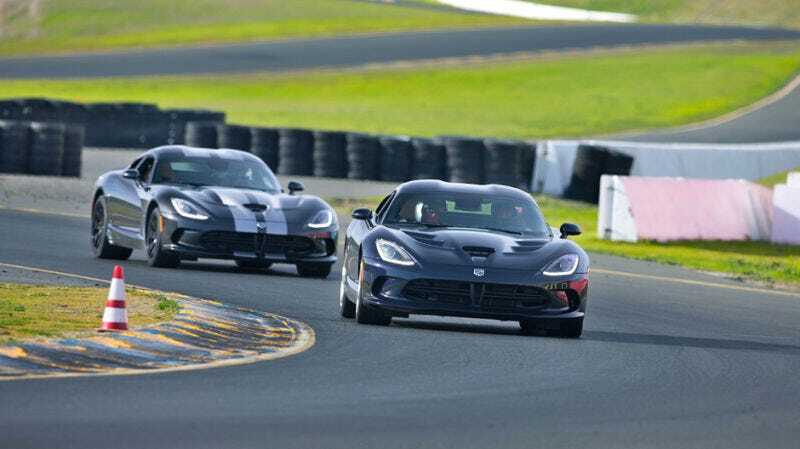 Go ahead a prepare yourself for the next few years of false hope as every move FCA makes is carefully scrutinized for hints of life from a next-generation Viper. We’re all going to be miserable. He followed that up with, “given the architectural development within the brand, there is a possibility that a new version of the Viper may surface,” suggesting that an all-new Viper of the future could share a platform with something like the Alfa Romeo Giorgio platform, said to underpin the next wave of FCA’s Charger, Challenger, and Giulia muscle/sports cars. That could make financial sense, and in the auto industry, financial satisfaction is the most important factor of production. Yet that union contract showed nothing continuing at the factory where the Viper is currently assembled beyond 2017, so plans are anything but solid at this point. Sergio, you’re not going to have very much luck beating any Ferraris on that shared platform — which likely means no support for a Viper V10, by the way. But if you wanted to try, you have our support. Pinch your salt and cross your fingers, etc.